In 2009, residents residing in the Pacific Area endured 129 driving under the influence-related and 1,126 hit and run traffic collisions. 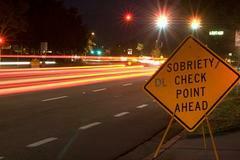 The checkpoint will educate the community to use designated drivers and not drink and drive. Funding for this checkpoint is provided by the California Office of Traffic Safety through the National Highway Transportation Safety Administration. We can all help make our streets safer, please report Drunk Drivers – Call 911.